What’s the Best Hiking Headlamp Money Can Buy? Come winter time, our hiking adventures can be seriously curtailed as the nights draw in early and the sunrise becomes ever more tardy in arriving. 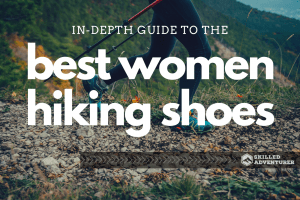 The simplest way to combat the problem, of course, is to find yourself the best hiking headlamp you can get your hands on. Simple, right? Well, it would be if there weren’t quite so many options to choose from and not quite so much technical jargon out there confusing matters. 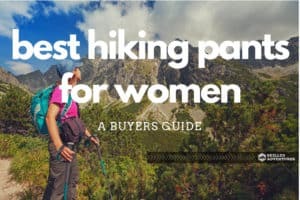 To help you find the best headlamps for hiking, we’ve compiled a buyer’s guide of what to look for in a hiking and camping headlamp and a list of the top 10 headlamps money can buy. 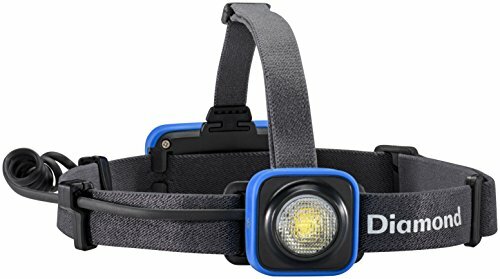 Conclusion: What is the best hiking or camping headlamp for you? Other than the slightly fiddly mode controls, we’re still looking for them! The Black Diamond Spot is superbly functional, lightweight and durable lamp that is a true contender for the title of best LED headlamp for hiking. The Spot weighs in at a tiny 3.2 ounces, packs 300 lumens and has a max beam distance of 80 meters. For main course, there’s the wide variety of modes, the compact size and full-submersion waterproofing. For dessert, BD have served up something just a little bit special – the Spot features a touch-sensitive housing, meaning you can make quick brightness adjustments on the move with just the tap of your finger! All in all a very practical, high-performing headlamp that comes at a very reasonable price. A simple and affordable hiking headlamp for those on a budget. Weighs only 3 ounces - unlikely to inconvenience even the most fickle hiker! 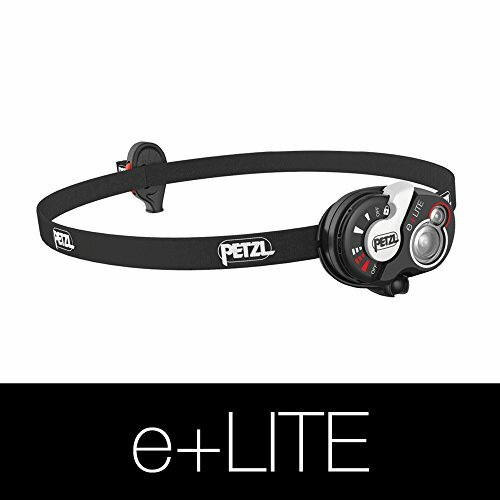 The Petzl Tikka is a very popular headlamp that scores just above average in every aspect. Why would we include a ‘just above average’ headlamp in our review? The answer is simple…the price. The Tikka is the ideal budget headlamp for those who don’t anticipate using it all too often or being in situations where serious beam power is necessary. It’s light, reasonably powerful and is very easy to use, even with gloves on. This is a simple, affordable and solid option that might just be the best hiking headlamp for those on a budget. A versatile, ultralight headlamp. Ideal if you don’t like traveling light. 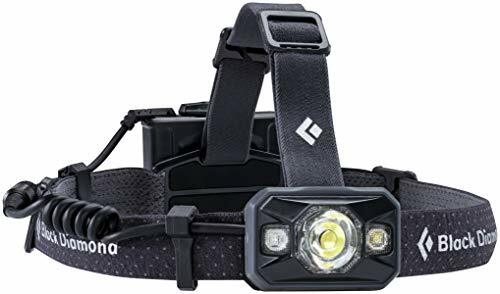 The aptly named Black Diamond Iota is an ultralight headlamp that is ideal for those averse to carrying too much weight and who don’t envision finding themselves in too many extreme situations (whiteouts or hiking in the dark, for example). Many will appreciate the ‘nothing-there’ feel of the Iota, the rechargeable design, the ‘locked mode’ which prevents accidentally turning on, and the very handy, battery-saving dimmer control. Price-wise, too, this tidy little option is very competitive. The Iota’s versatility and light weight, however, come at a price both power and practicality-wise. The max beam on the Iota is a mere 40 meters and the single LED tends leave the majority of your peripheral vision spots in the dark. A very powerful hiking headlamp that will have you covered whatever you plan on getting up to. Reasonably priced - you get a lot of lumens for your buck! The Coast FL85 steps things up a notch from the items we’ve seen thus far. With 540 lumens and a 172-meter maximum beam, this is a very powerful hiking headlamp that will have you covered whatever you plan on getting up to. In addition to its power, the FL85 boasts a very user-friendly focusing ring for switching between stronger and weaker outputs and superior brightness to similarly priced models. The FL85’s downsides are its weight, size and relatively short battery life. It weighs in at a rather ponderous 4.5 ounces and is almost double the size of the Black Diamond Iota (above). All those lumens, moreover, are apt to devour the battery power in a fairly short time, meaning you’ll need to carry a hefty supply of batteries to keep things illuminated. All in all, a very powerful headlamp that has a few flaws that can be easily forgiven for those not too concerned about extra weight and bulk. The lightest headlamp in the pack. If you thought the BD Iota was light, that makes the Petzl e+LITE an absolute featherweight! Weighing in at a tiny 0.9 ounces, this is the true runt of the Petzl pack. It’s also, as you can imagine, incredibly compact – it’s so small, in fact, that you’re likely to forget it’s there. What else does the e+LITE offer besides being compact and light? Well, it’s waterproof, simple to use and offers three modes: white light, red light and strobe. On the downside, this tiny headlamp is short on lumens and has a fairly poor maximum beam length of 10 meters on maximum white light. While these may seem like deal-breakers, the e+LITE remains ideal as an emergency headlamp that you can throw in your rucksack and forget about until you really need it. The headlamp for maximum illumination and extreme wether conditions. For the bad-weather hiker, the Black Diamond Icon offers something that just might be the solution to many of your problems. But it will cost you. The Icon is the heaviest and most expensive lamp in our review and is included as an option for those who want maximum illumination in the worst the elements can throw at them. For all that added expense and weight, however, you get some serious power, a healthy battery life, a huge maximum beam distance and a very wide mode range. We wouldn’t recommend it for a lightweight backpacking trip, but if you want the best your money can buy and aren’t concerned about weight, the Icon might just be the headlamp for you. A solid, all-round performer that could save you a buck or two on batteries. The Black Diamond Revolt is another high-performing, mid-range headlamp with a bit of a novel twist. The twist? It can be recharged by USB! If that isn’t enough to win you over, it’s also fairly light, has great battery life, is waterproof and packs a decent punch of lumens to boot. Essentially, the Revolt ticks all the right boxes and throws in a little bonus box all of its own. There are cheaper and stronger models out there, but for practicality and user-friendliness they don’t come too much better. If we were to nitpick a few flaws, we’d mention that the beam tends to fade quite a lot at the end of a charge and the price is still fairly high compared to other, battery-only headlamps. The Black Diamond Sprinter is marketed as a runner’s headlamp but offers plenty for your average hiker, too. What we like most about the Sprinter is the over-the-head strap and the distribution of weight created by housing the battery pack on the back of the head as opposed to the front. The Sprinter also packs a high amount of lumens (200) and a decent maximum beam distance of 50 meters. What’s not so hot about the Sprinter is its relative shortage of output modes and lack, therefore, of versatility. The other big deal-breaker is the price. It costs around double the price of the BD Spot (above) and yet offers less in the way of lumens, max beam and mode controls. Offering excellent waterproofing, a lot of lumens and a strong maximum beam distance. The Black Diamond Storm is a real contender for the title of best hiking headlamp on the market. It’s also very affordable, features a wide variety of modes and includes that handy ‘lockout’ function which ensures it’s going to have plenty of juice left when you need it. On the downside, the Storm’s controls are a little bit fiddly and require some time and practice to get to know. It’s also a fraction heavier than other models in its performance range, such as the BD Spot or Petzl Tikka. Neither of these flaws are deal-breakers, however, and the Storm still offers great value for money and reliability. 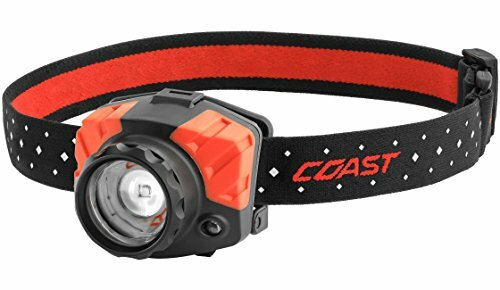 A practical, affordable and decently powerful headlamp at a very reasonably price. 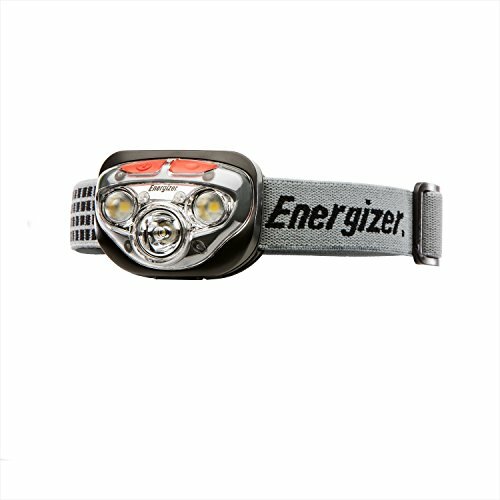 For a practical, easy-to-use and decently powerful headlamp at a very wallet-friendly price, you might not have to look any further than the Energizer Vision HD. The Vision HD lacks a few of the features contained in pricier lamps, but boasts 150 lumens, weighs only 3 ounces and has a max beam of 40 meters. It also has a spot and flood function and is brighter than some more expensive competitors. On the downside, the Vision HD isn’t the most comfortable of options and is only splash resistant, not fully waterproof. For setting up camp in the dark, cooking, reading or lighting the trail on the odd occasion that you return late or start early, however, this is a decent entry-level headlamp that will do the job you need it to do. Flood/Wide – Ideal for night around camp and reading in the tent, but not the best for illuminating paths for any great distance.Spot – The best beam for hiking in the dark. Offers maximum beam distance and a narrower, more concentrated output.Both Flood and Spot – The best case scenario. Offers greater versatility by allowing you to adjust the beam to suit your needs in different situations. All headlamps will come with a maximum beam distance, usually measured in meters.This tells you how far ahead your lamp will provide illumination.For most hikers, a maximum beam distance of 50-80 meters will be more than enough. A headlamp’s number of lumens tell you how much light the headlamp emits – the higher the number of lumens, the brighter the light. While it’s good to have a high lumens count (100-350 is usually more than enough). It’s worth bearing in mind that lamps with high lumens counts usually use up batteries much quicker. Keeping a headlamp in your pack isn’t ever going to break you back, but the real difference comes when you’re wearing it.Heavy headlamps can be more uncomfortable and, of course, require a tighter strap to keep them in place.More powerful models usually weigh a few more ounces than mid-range and weaker headlamps.Finding a balance between power and weight is the way to go. Most headlamps will list anticipated battery life or duration in their specs.Read these with caution!In an effort to talk up their product, many brands list the maximum duration on the lowest output or in strobe mode.Base your considerations on max output when weighing up the options. How versatile a headlamp is depends mostly on its range of modes and dimming function.Even the most basic models usually offer a full and low beam mode and at least one (red or white) strobe mode.Low mode is used for general, up-close tasks and when you’re not on the move: cooking, pitching a tent, reading at bedtime.High or Max mode uses a headlamps full lumens and beam power. It’s ideal when moving along the trail in the dark, rain, or attempting to locate features in the landscape.The strobe mode is included for emergency situations in which you need to attract attention. It’s also handy if you happen to be doing part of your hike near a road and want want to make yourself visible to passing motorists.A dimmer switch or dimmer ring, usually featured in more expensive headlamps, offers full adjustability between low and high modes. This allows you to set your beam to the output you require for any given task and is the greatest contributor to a lamp’s versatility. Headlamps always come with a water resistance rating given in the IPX format.On this scale, IPX0 (no protection) represents the least water resistant and IPX8 (submersion in water deeper than 1 meter) the most water resistant.For most hikers, an IPX rating of 4 or 5 should more than suffice.Headlamps with these ratings are not suitable for full submersion but can deal with sustained heavy rain. Many headlamps have very fiddly and/or small control buttons that are difficult to use, particularly with gloves on.Others have sizable, user-friendly buttons and change from mode to mode with a simple click or turn of the dimmer ring. This feature usually adds a bit of weight to a headlamp but is preferred by many users.It can add stability and comfort by distributing the weight of the headlamp’s housing and is particularly useful, therefore, with heavier models. Some headlamps boast color modes (red, green or blue) for emergency situations in strobe mode or enhanced visibility in low or full mode.Colored light causes less shrinkage in the pupils of our eyes and so allows us to see better when using and unnatural light source. A very useful function that ensures you won’t run down your batteries by accidentally switching your lamp on while it’s in your pack. When buying a headlamp, the four main factors we take into consideration are power, functionality, trail-readiness and value for money. Although many of the items in our review have ticked all of these boxes, none have done so quite as well as the Black Diamond Spot. The Spot is relatively cheap, but offers many of the features we’d expect to find in a headlamp double its price: strong output, great max beam distance, a wide variety of modes and full-submersion waterproofing. That’s enough for most people, but just in case it wasn’t Black Diamond threw in the fantastically practical touch-sensitive casing which, for us, was just the icing on the cake. 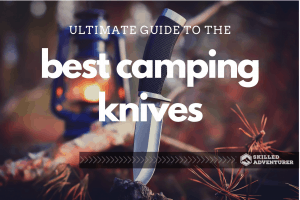 The Spot’s closest competitors were the Black Diamond Storm and Petzl Tikka, both of which offer outstanding value for money. Compared to the Black Diamond Spot, however, the Storm was just a little bit too heavy and the Tikka a little short on lumens. And both, of course, lack that super-handy touch sensitivity for beam adjustment.